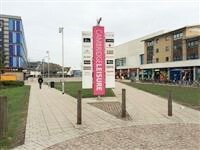 There are a number of venues available throughout the leisure park. Frankie & Benny's, Chiquito, Bella Italia, Nando's, Travelodge, Subway, Moza, Tesco Express, Sainsbury's, Tenpin, Sing Dizzy, Nusha Cocktail Bar, Nines, Cambridge Junction, The Light, Pure Gym and Five Guys. The leisure park has some internal and some external venues. This is an open air leisure park. The opening times will vary depending on the individual venue. 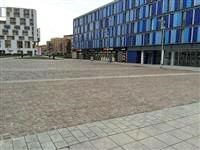 This venue is situated in Cambridge. The nearest National Rail station is Cambridge. 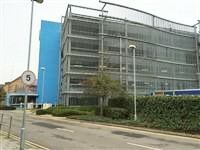 The car park is located on Clifton Road. 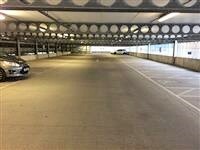 There is/are 10+ designated parking bay(s) within the car park. 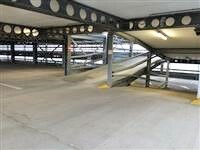 The dimensions of the designated parking bay(s) are 366cm x 480cm (12ft x 15ft 9in). The nearest designated bay is 15m (16yd 1ft) from the car park entrance. 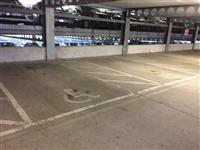 The furthest designated bay is 48m (52yd 1ft) from the car park entrance. The maximum height is 207cm (6ft 9in). This information is for the entrance located at the front of the car park. The door opening is 186cm (6ft 1in) wide. You are on Level Change (Car Park Entrance). Skip to the next section. 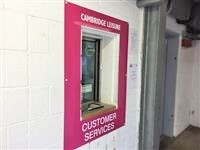 You are on Reception (Car Park - Customer Services). Skip to the next section. 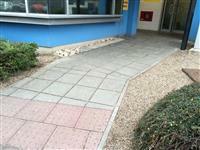 The desk is 2m (2yd 7in) from the car park entrance. The desk is generally staffed. There is a bell to attract attention. The bell is not at a suitable height for a wheelchair user. There is not sufficient space to write or sign documents on the desk. You are on Other Floors (Car Park). Skip to the next section. The floors which are accessible by stairs are G, 1, 2, 3, 4, 5 and 6. You are on Lift (Car Park). Skip to the next section. The floors which are accessible by this lift are G, 1, 2, 3, 4, 5 and 6. The dimensions of the lift are 137cm x 134cm (4ft 6in x 4ft 5in). 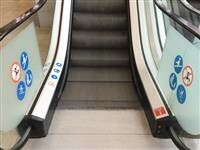 There are two identical lifts next to each other. 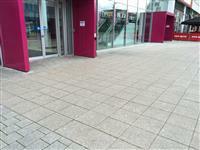 You are on Outside Access (Centre Main Entrance). Skip to the next section. The door opening is 143cm (4ft 8in) wide. 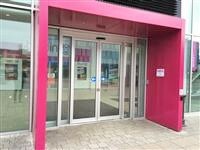 This entrance gives access to some of the internal venues that. You are on Level Change (Centre Main Entrance). Skip to the next section. You are on Outside Access (Clifton Way Entrance). Skip to the next section. 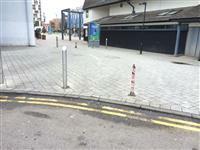 This information is for the entrance located on Clifton Way, next to Travelodge. There are bollards located at this entrance. 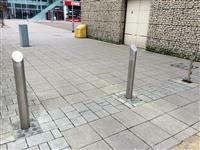 The minimum width between the bollards is 169cm. You are on Level Change (Clifton Way Entrance). Skip to the next section. 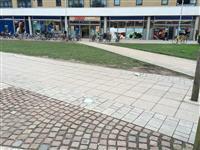 There is a dropped kerb leading up to the entrance. The dropped kerb is moderate, with no handrails. 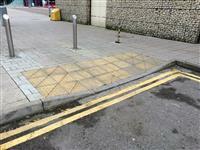 There is tactile paving at the dropped kerb. You are on Outside Access (Cherry Hinton Road). Skip to the next section. This information is for the entrance located on Cherry Hinton Road. There are bollards located at this entrance. 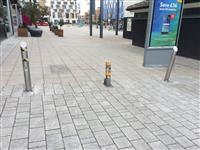 The minimum width between the bollards is 177cm. You are on Level Change (Cherry Hinton Road). Skip to the next section. You are on Outside Access (Clifton Road - Entrance From Car Park). Skip to the next section. This information is for the entrance located on Clifton Road. There are bollards located at this entrance. 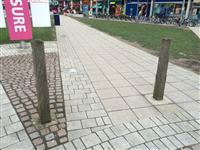 The minimum width between the bollards is 170cm. If parking in the car park, this is the entrance that would most likely be used. 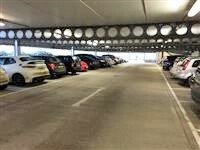 You are on Level Change (Clifton Road - Entrance From Car Park). Skip to the next section. Music/noise is played inside the centre. 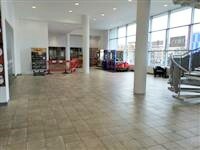 The type of flooring in walkways and corridors is carpet, tiles and concrete. 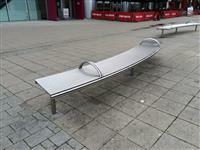 Seating is available throughout the leisure park. 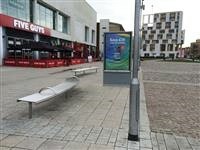 A number of street lamps are available throughout the leisure park for the external parts. 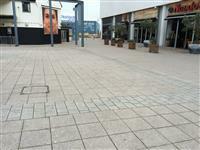 The surfaces within the leisure park vary between block paving, concrete and tarmac. 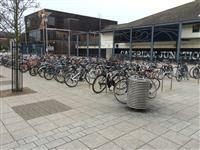 Bike racks are available within the leisure park. 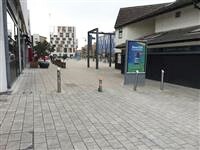 Cash machines are available within the leisure park. 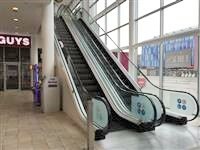 The floors which are accessible by stairs are 1 and 2. You are on Lift (Centre). Skip to the next section. The floors which are accessible by this lift are G, 1 and 2. 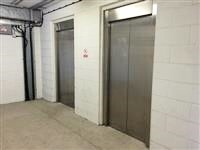 The lift is approximately 14m (15yd 11in) from the centre main entrance. The dimensions of the lift are 135cm x 132cm (4ft 5in x 4ft 4in). Accessible toilets can be found within various venues around the leisure park. Standard toilets can be found within various venues around the leisure park. There is not a dog toilet or toileting area.